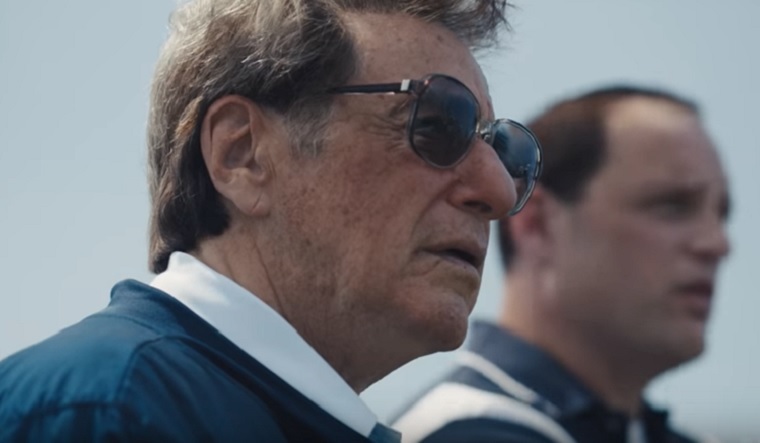 But we finally have our best look at Paterno yet, with HBO releasing a full trailer on Friday that also reveals an April 7 premiere date for the film. News coverage of Sandusky, Penn State’s involvement, Paterno’s knowledge of the situation, and the efforts of reporter Sana Ganim (played by Riley Keough, Logan Lucky) also appear to be a big part of the movie, based on this trailer. (The teaser had only shown quick glimpses of Ganim, alluding to her role in uncovering all of the misconduct, wrongdoing and cover-up at the university.) Getting Sandusky’s victims to tell their story and reveal accounts of their abuse to the public was a big part of the work that eventually led to Ganim winning a Pulitzer Prize for her work at the Harrisburg Patriot-News. 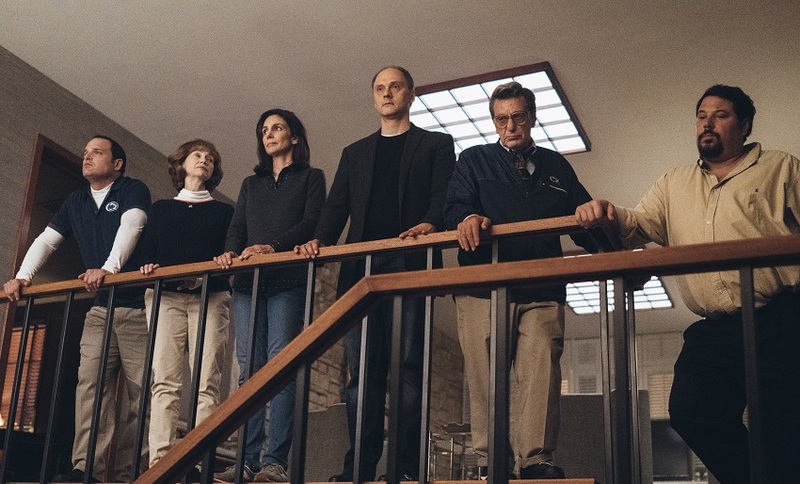 We won’t know until seeing the film how much of the story focuses on the destruction of Paterno’s legacy and his turmoil over what occurred under his watch with a trusted assistant, and how much attention is given to the investigation. But the trailer does show the potential of this to be a journalistic drama as well. What looks especially promising is that the story dramatizes scenes that news reports didn’t provide much information about, such as Paterno’s meeting with university officials about the pressure on him to resign and the eventual decision to fire him. The trailer also ends with a chilling scene between Paterno and his wife, Sue (Kathy Baker), about Sandusky and him playing with their children in a pool when they were young. If Paterno knew about Sandusky, he wouldn’t have let them near his kids in such a situation, right? Right? The cut in the trailer makes it appear as if Paterno doubts his recollection or knowledge there, but whether or not it plays out that way in the final film remains to be seen. 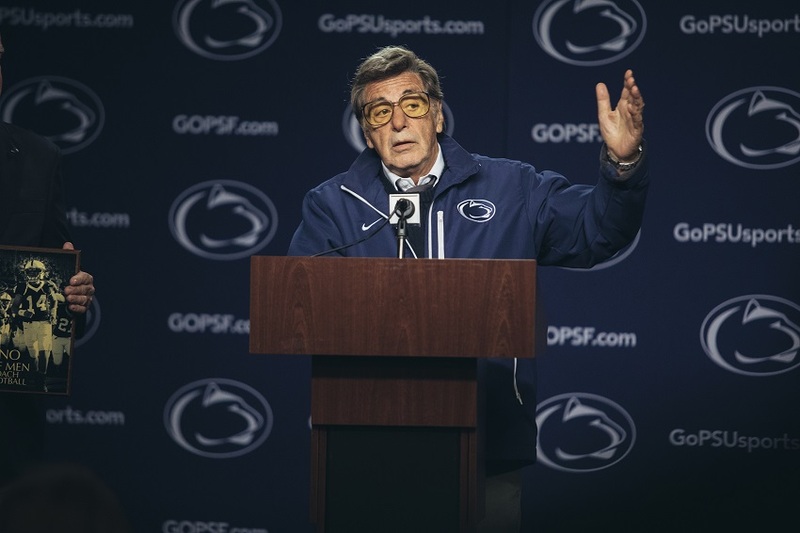 Paterno premieres on HBO on Saturday, April 7 at 8 p.m. The network also released three images from the film, which you can see below.